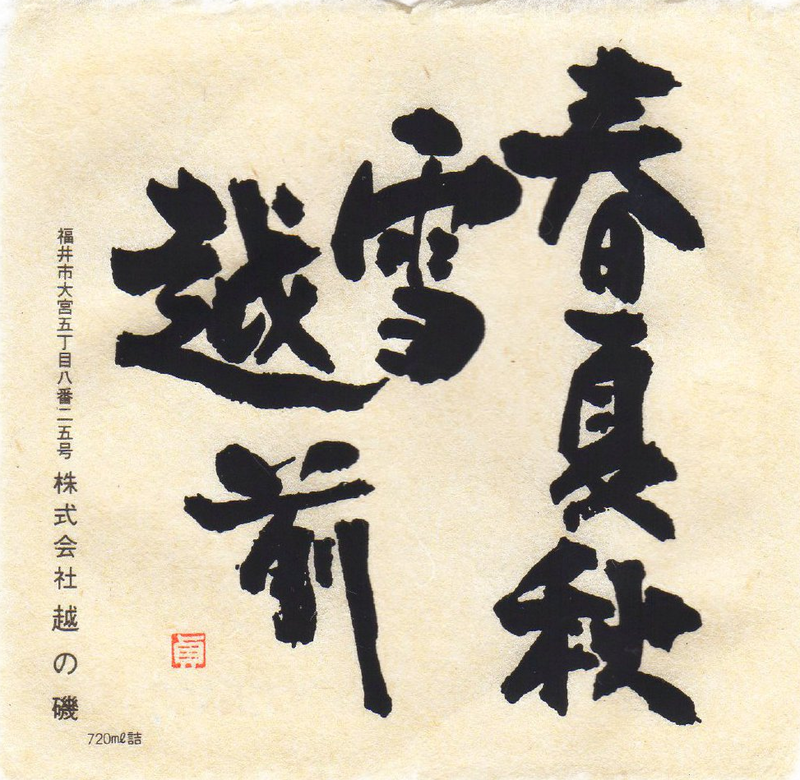 Shunka Shusetsu Echizen (SSE) is a Junmai Ginjyo brewed from Gohyakumangoku sake rice. It is light, moderately rice-forward, elegant and smooth, slightly astringent on the finish. Being only loosely filtered, the sake has a natural hue. Pale straw color. The nose is quite dry and very rice forward with subtle hints of mineral and talc. The palate delivers the promise of the nose delivering an ultra dry and clean flavors with a dry, mildly peppery finish. Ideal as an aperitif or with sashimi.